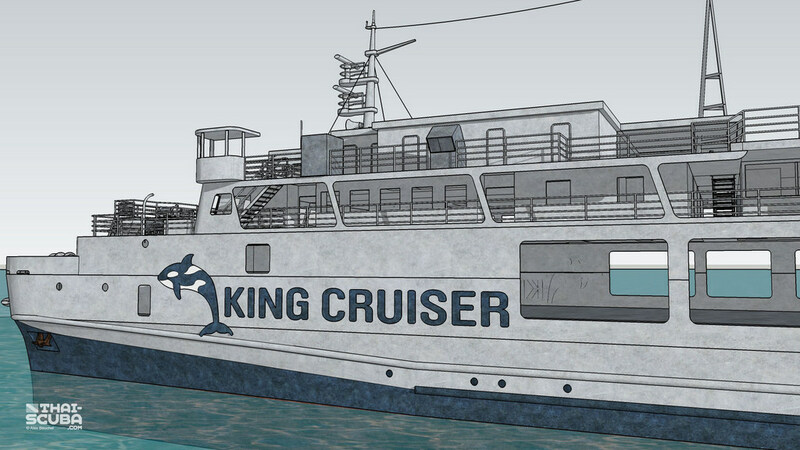 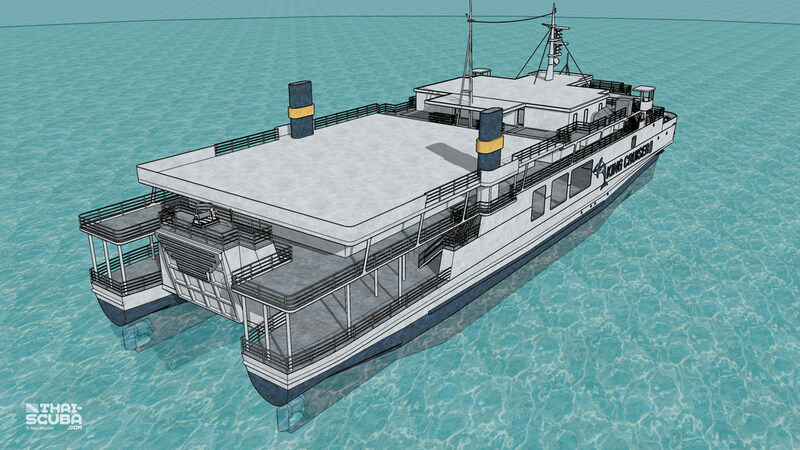 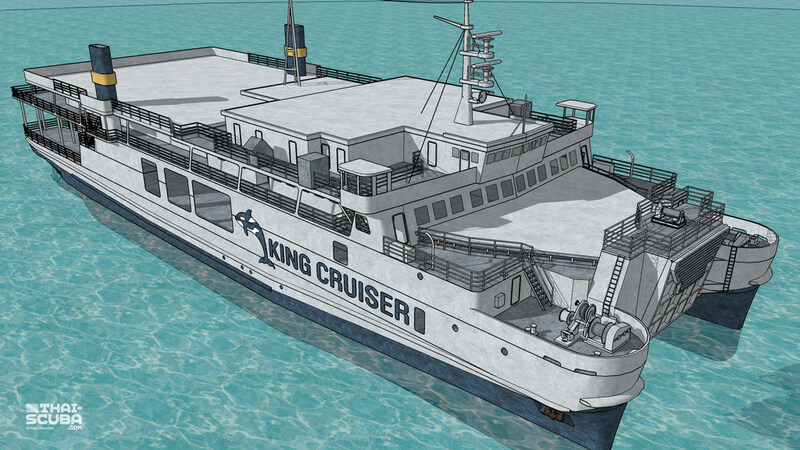 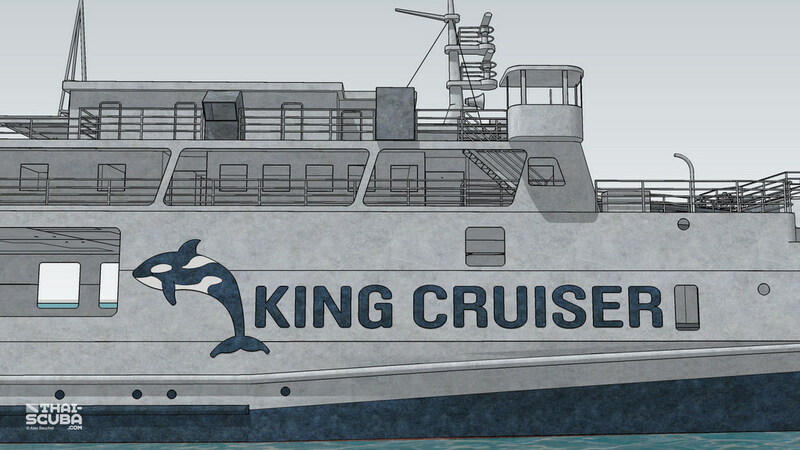 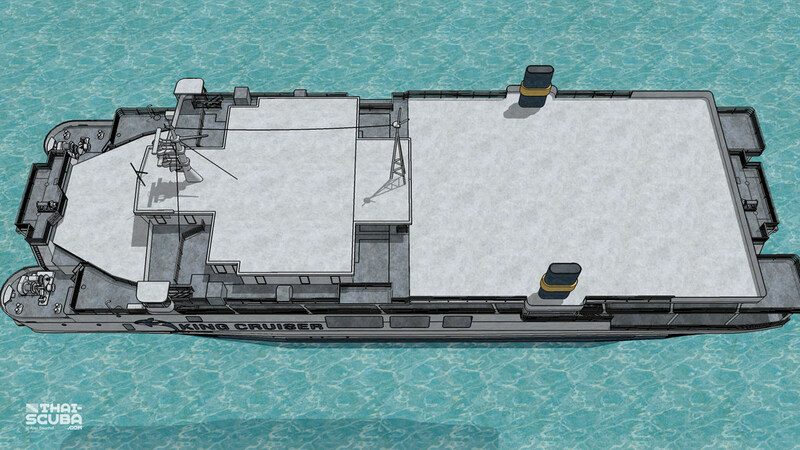 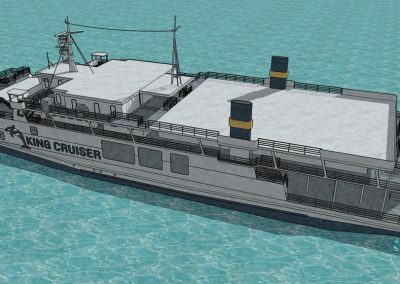 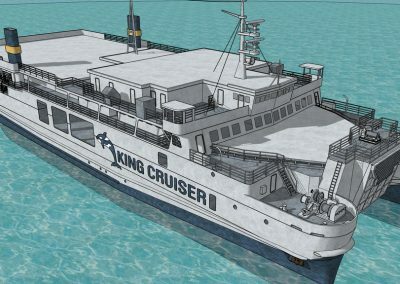 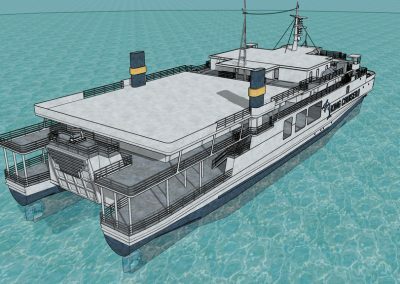 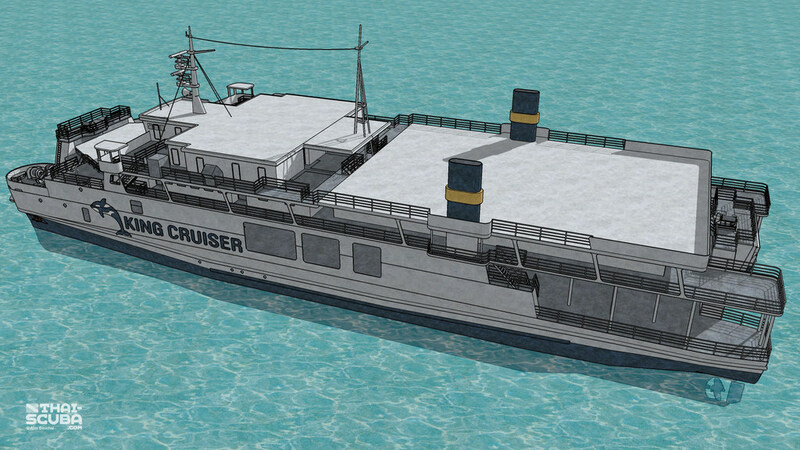 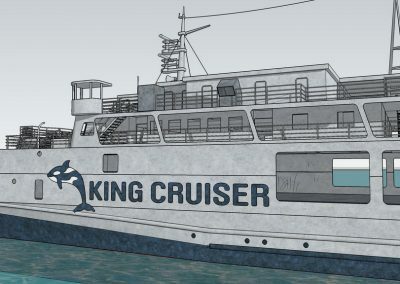 The King Cruiser is a catamaran car ferry. 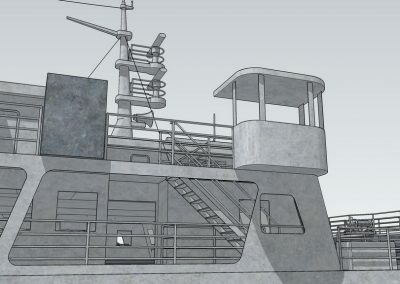 It was fitted with landing platforms on both the stern and the bow. 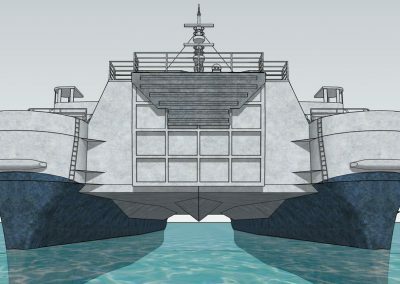 The ship measures 85m in length. 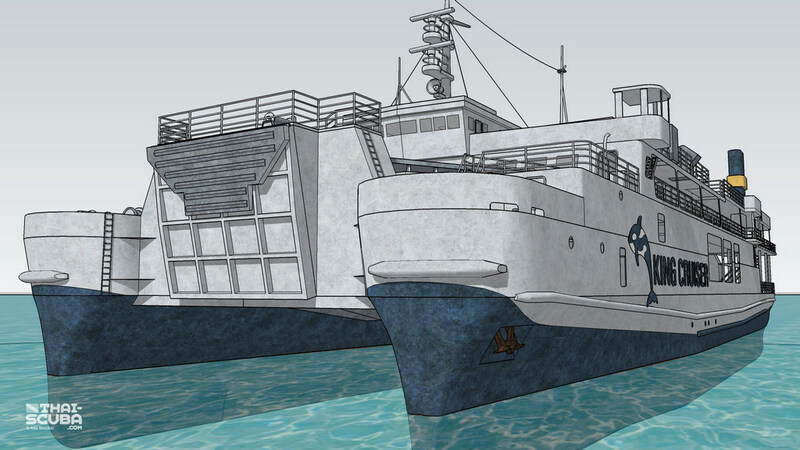 Following a typical catamaran design, the area between the two hulls was completely out of the water. 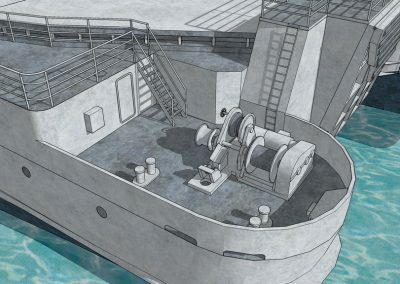 On the forward end of both hulls, large chain winches served to pull up the anchor chains and slide them into the chain lockers below. 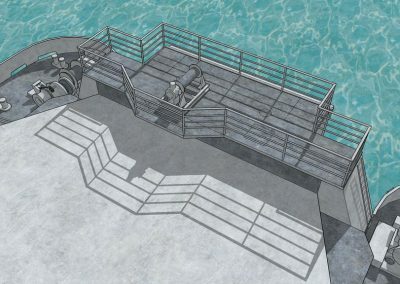 View forward from above the bridge. 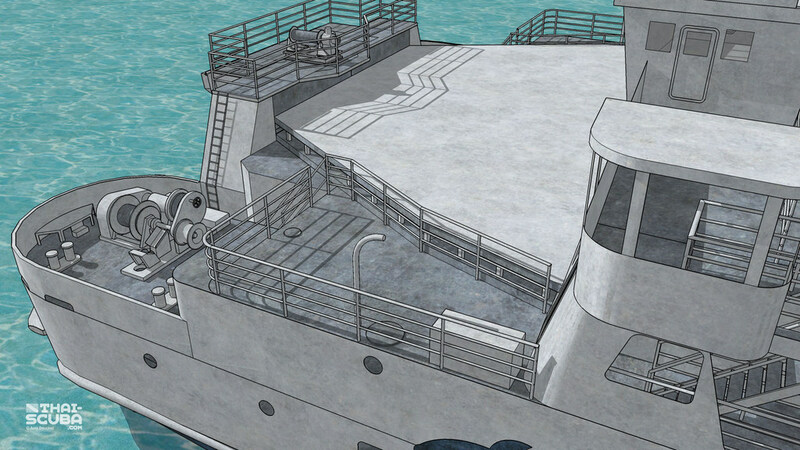 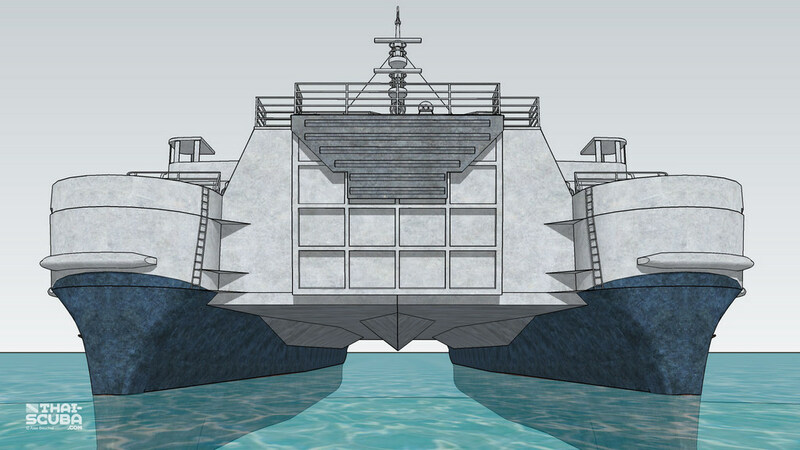 This forward platform was not designed as a deck for passengers, but simply a weather cover for the forward area. 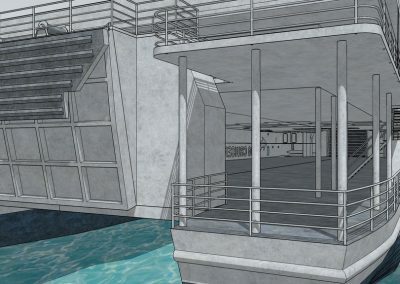 The bridge of the ship above the forward windows of the passenger area. 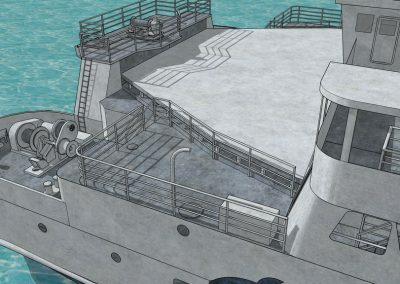 Stairs to the bridge deck, mostly used by crew. 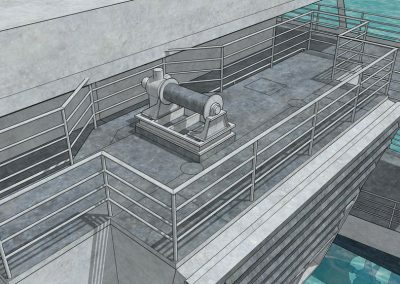 Side entrance to the bridge. 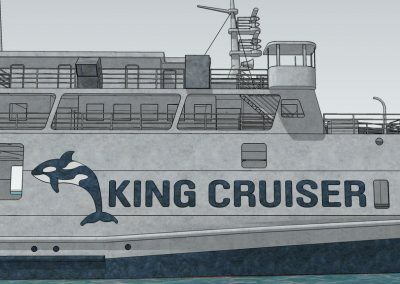 A big orca logo icon accompanied the large King Cruiser font on both sides. 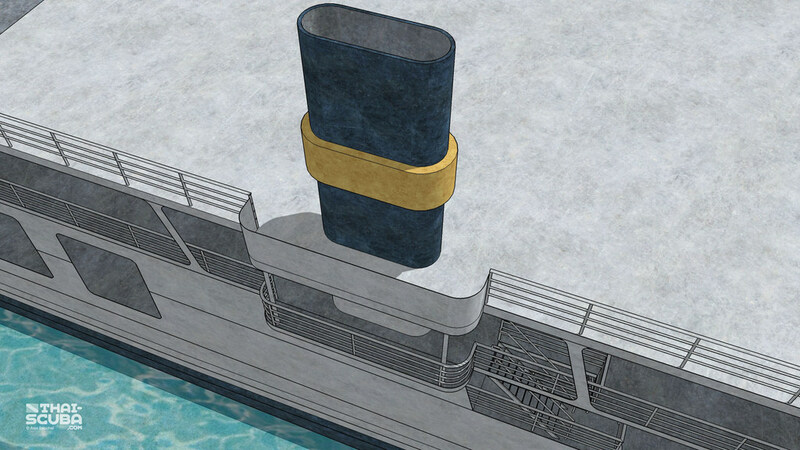 Stair cases to reach from the car deck to the passenger deck. 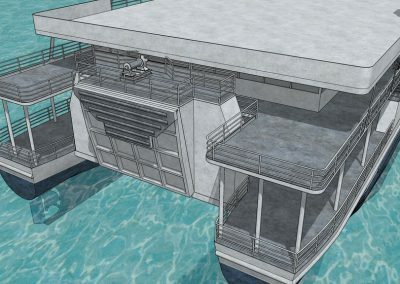 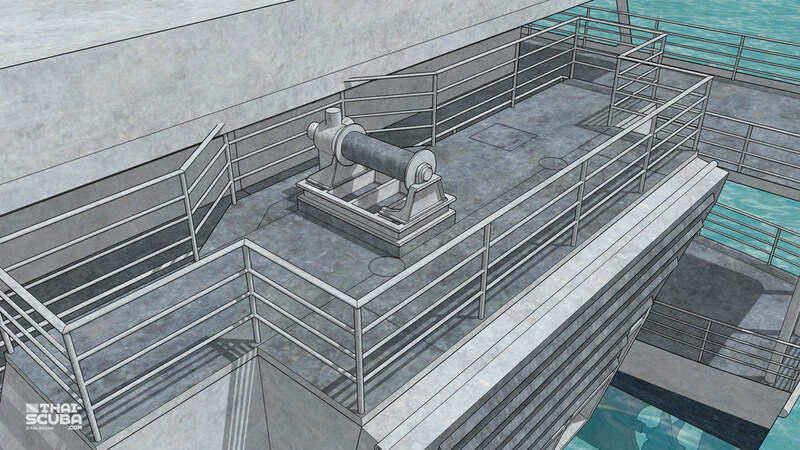 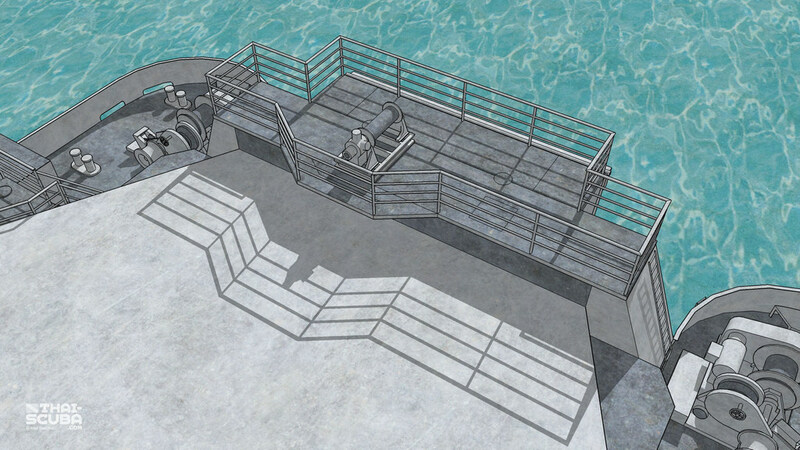 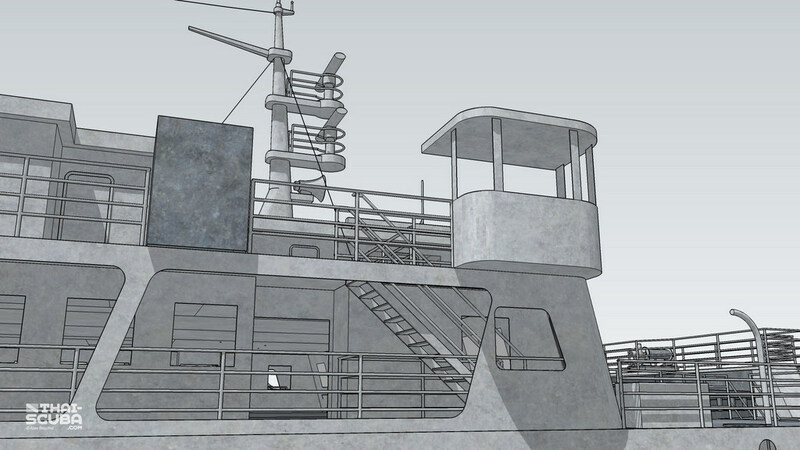 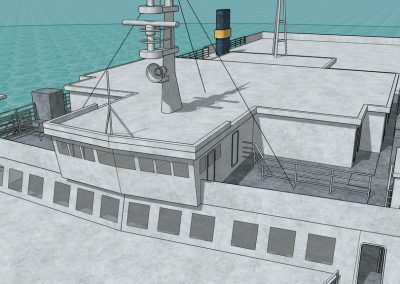 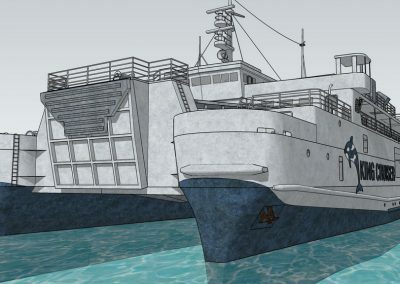 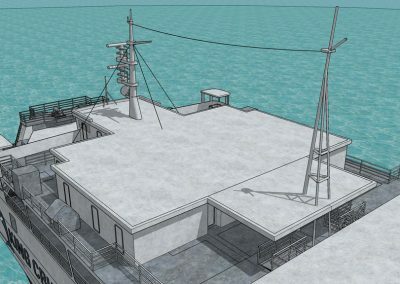 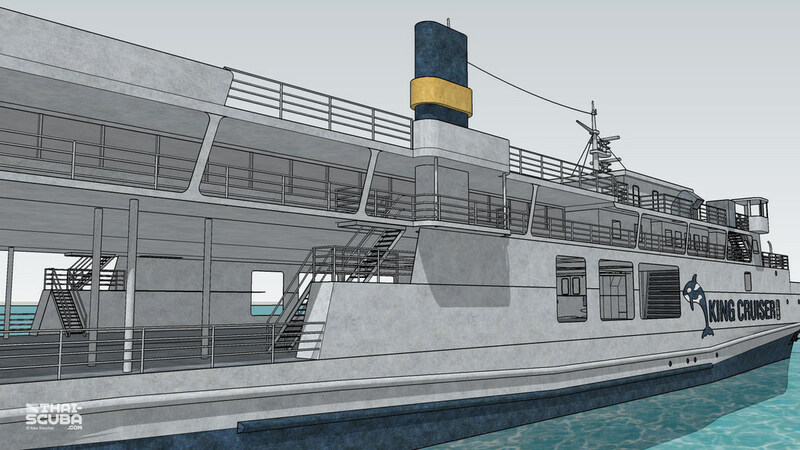 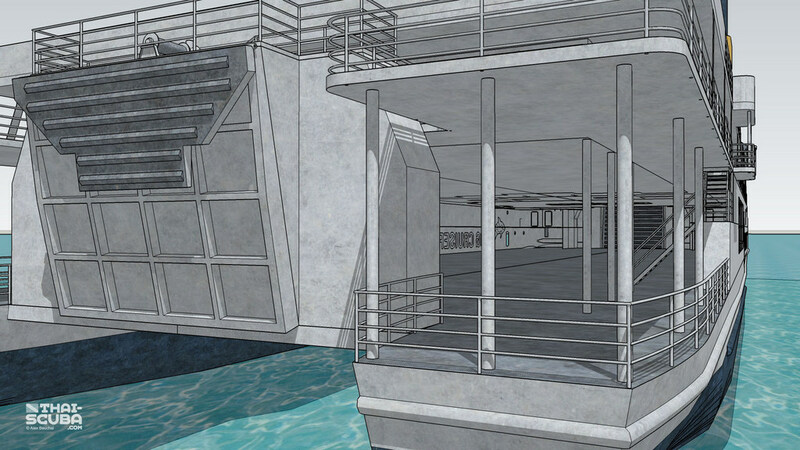 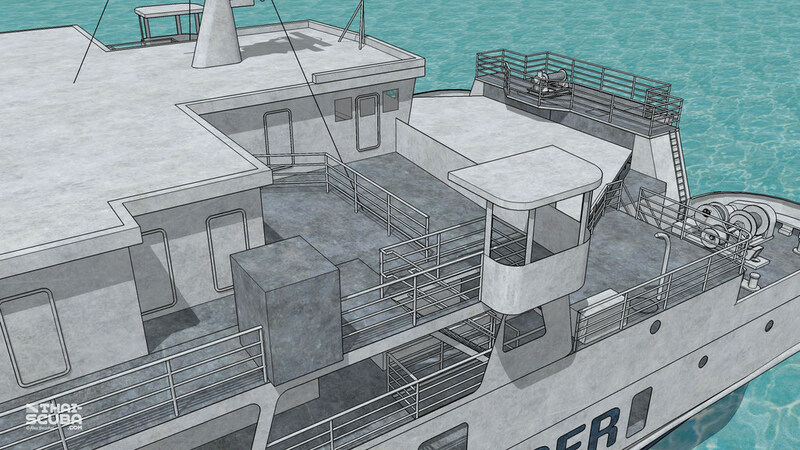 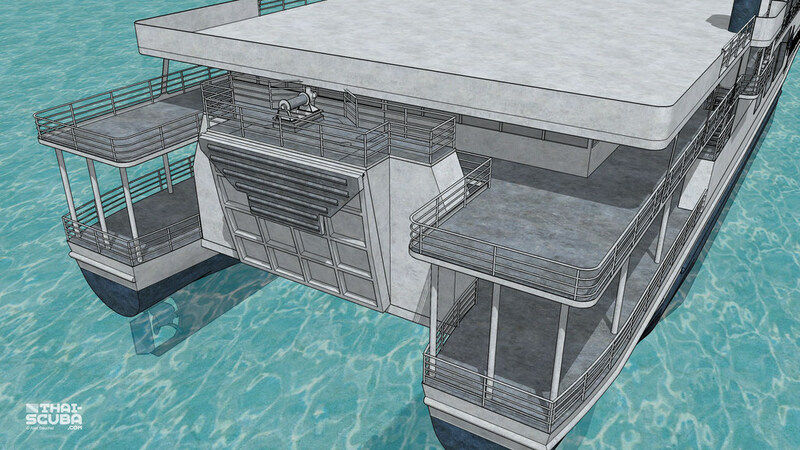 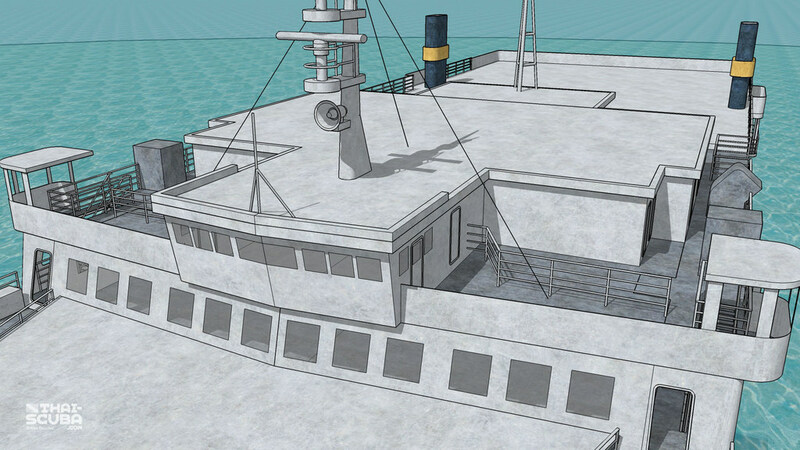 The area at the stern and the rear landing platform. 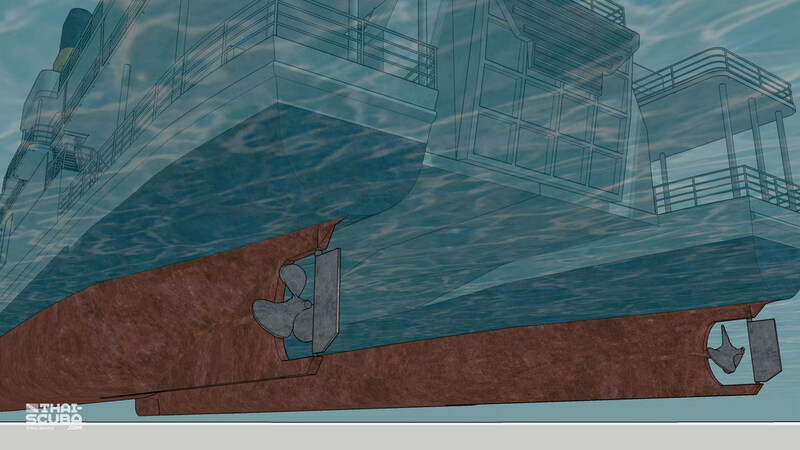 The winch used for pulling up the platform serves as the point of attachment of the diver’s descent line to the wreck. 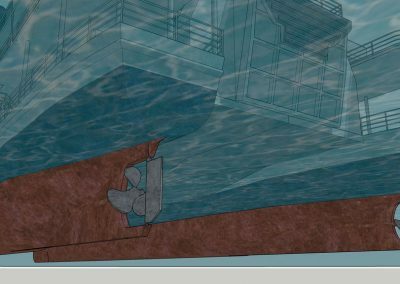 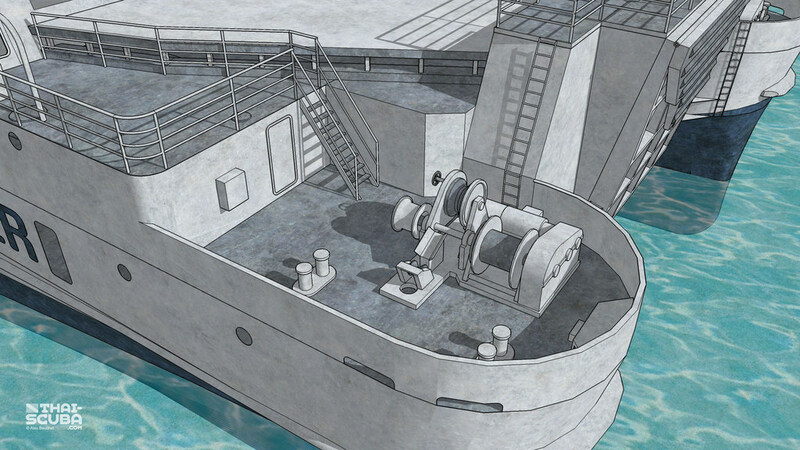 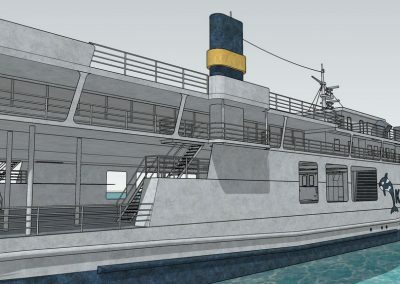 Each hull is fitted with its own propeller and rudder. 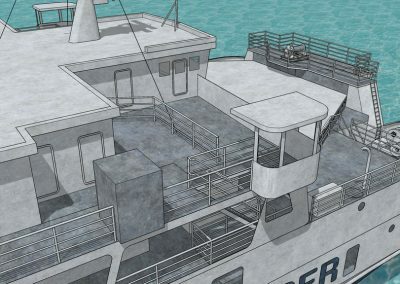 The spacious car deck was only supported with posts on the outsides which explains the swift collapse of these areas once submerged. 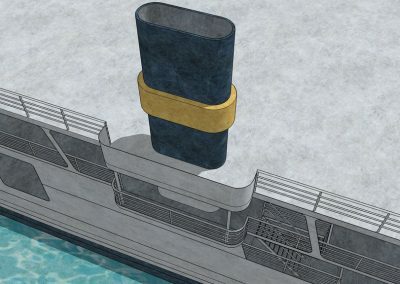 The funnels were dark blue colored with a golden cuff. 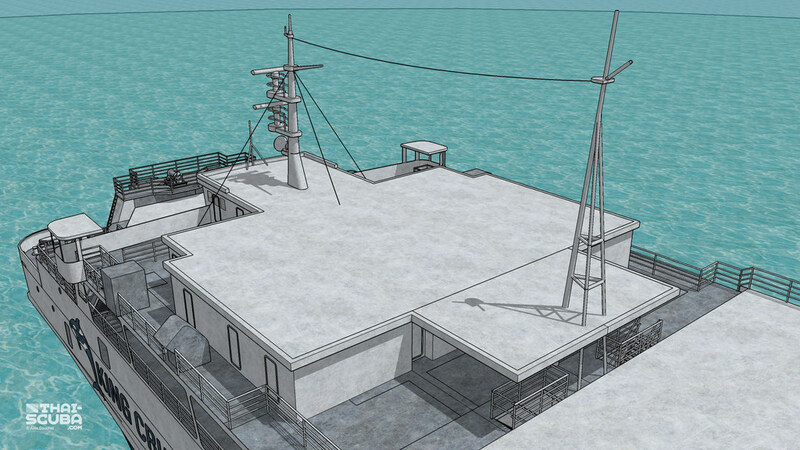 Radar, antennas, loud speakers and a small crow’s nest are at the 2 masts. 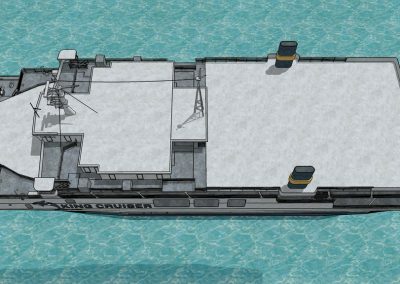 After over 20 years in the ocean, the ship has lost most of its interesting shapes.